EXPOSED KITCHEN — TRIPLE AUGHT DESIGN + BUILD. Taking out the walls around the chimney allowed us to open up the entire main space of this small Carrboro home. Thermally treated popular was used for the bar tops and mantle. Galvaneal sheet metal wraps the fireplace and extends to be a backsplash for the new butcher block countertop. 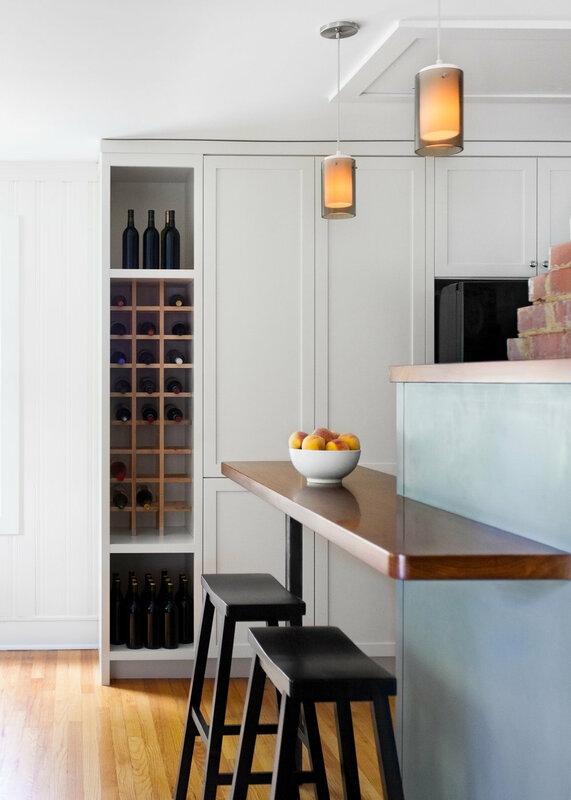 Pantry and wine storage cabinetry was built-in to match the existing kitchen.